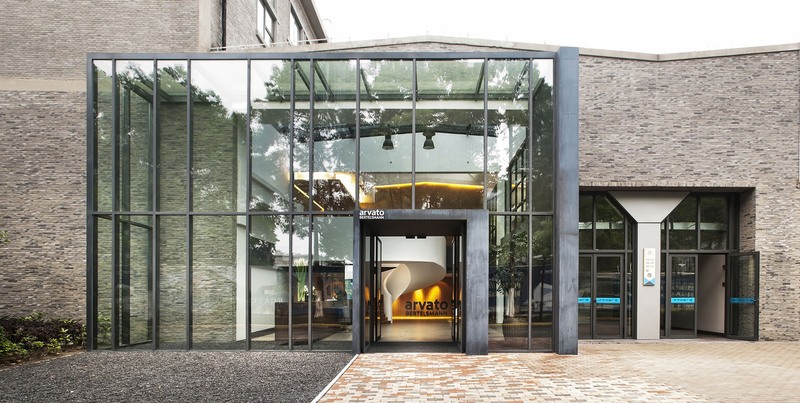 arvato Shanghai Headquarters by M Moser Associates Ltd.
Repurposing a light industrial loft building led to the creation of the new Shanghai headquarters of arvato, a leading international provider of digital marketing, customer relationship management, supply chain management, financial and IT services. 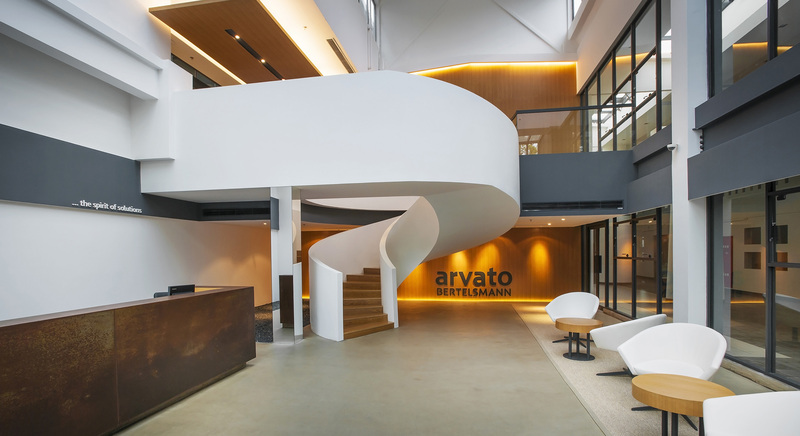 The project brings arvato’s corporate, design, customer and client service functions under one roof, while providing staff with a warm, modern and vibrant work environment conducive to team-building and collaboration. From concept design through design development, engineering and fit-out, all elements of the project process were integrated under a single team for a streamlined, low-risk delivery. 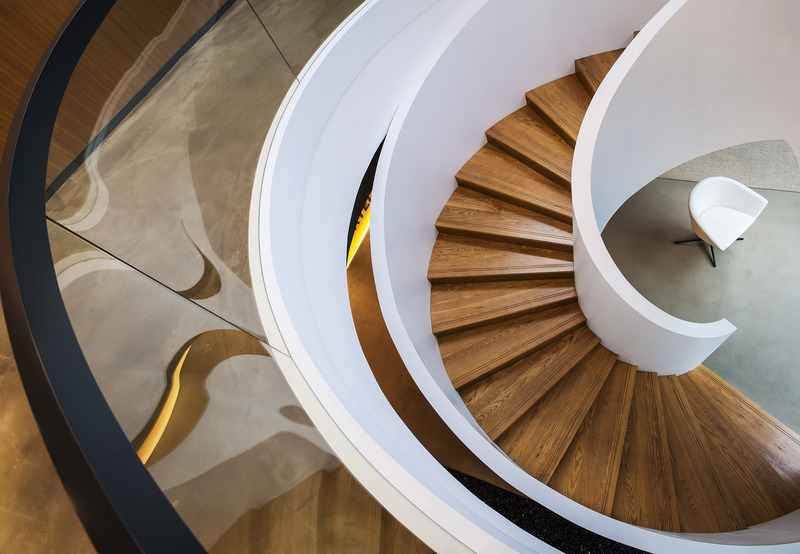 The project team maximised re-use of the building’s existing structural and industrial elements to minimise material waste, cost and time while retaining hints of its original character. The entirely new interior spaces developed within this sustainable framework were designed to feel clean, natural and youthful. 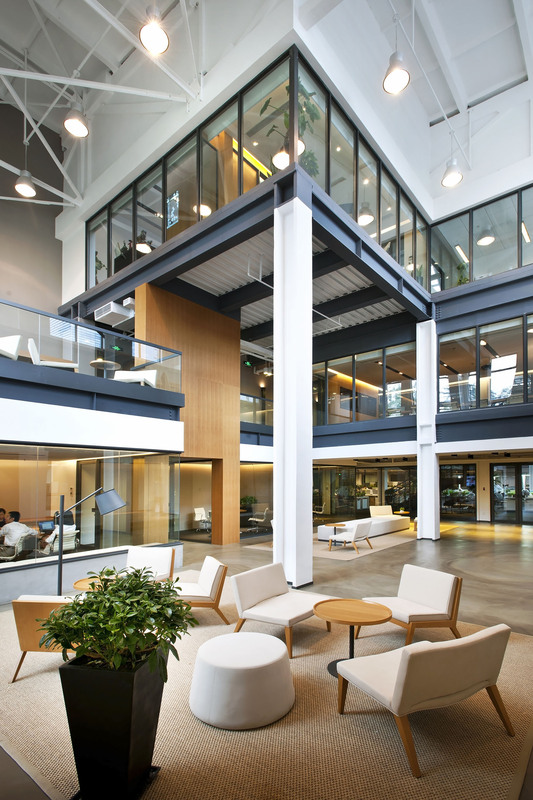 Starting with the main entrance, the entire building was transformed into a series of large, flexible open working environments. These are interspersed with atriums, private meeting spaces, and small ‘phone booth’ rooms which function as idea-sharing and client-facing areas. 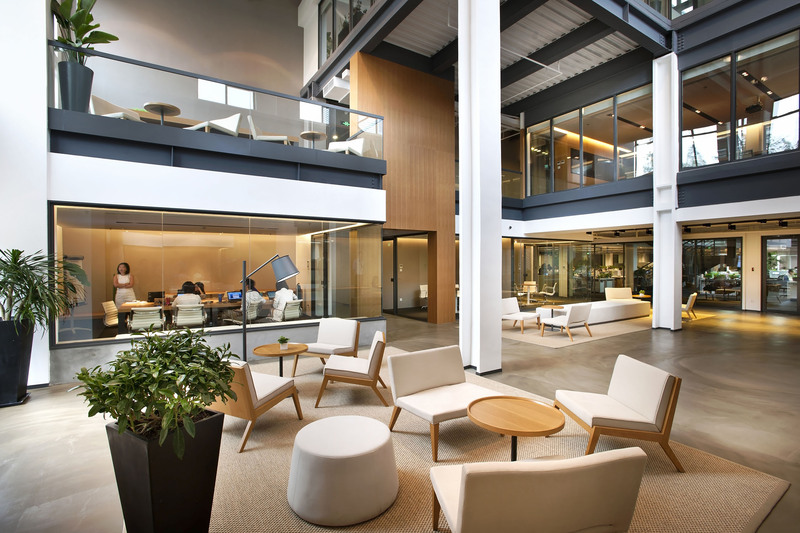 Located centrally within the workspace is a distinctive open ‘Idea Hub’. The collaborative ‘nerve centre’ of the building, it is both where all major circulation routes converge, and where creativity is fostered with the aid of an integrated AV system and ‘chalkboards’.